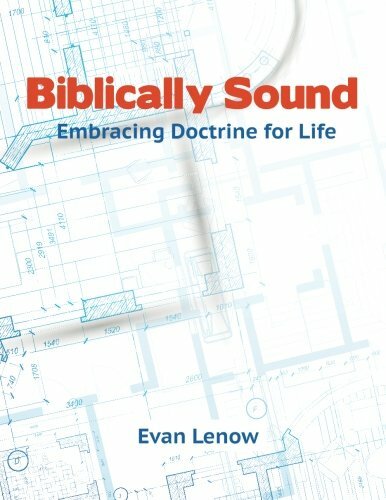 This post first appeared on Preaching Source at http://preachingsource.com/blog/preaching-and-social-ministry/. Social ministry is often forgotten in evangelical preaching circles. In our desire to clearly communicate the life changing truth of the gospel leading to salvation, we sometimes overlook the real-life needs of individuals who need both spiritual and physical nourishment. Social ministries include provision of food, shelter, clothing, safety, and skills for life. These are ministries that help people day-to-day and can meet a physical need while opening the door to spiritual needs. The reasons I hear for neglecting social ministry in preaching is a fear of replacing the gospel of salvation with a social gospel. 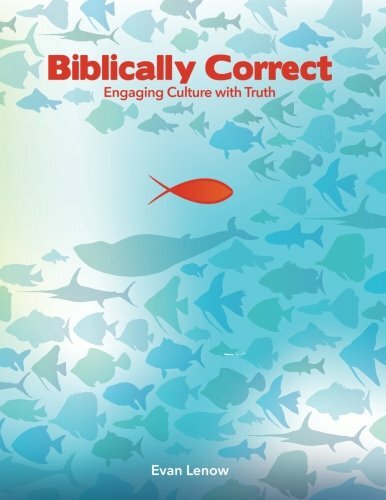 We have seen this before in the Social Gospel movement of the early 20th century, but we have probably swung the pendulum too far in the other direction. There needs to be a healthy balance between preaching for salvation and meeting people’s physical needs. How can we preach the gospel and affirm social ministry without running the risk of falling into the errors of the Social Gospel? 1. Have a biblical perspective on social ministry. The prophet Micah gives us a clear admonition regarding social ministry as he proclaims, “He has told you, O man, what is good; and what does the Lord require of you but to do justice, to love kindness, and to walk humbly with your God?” (Mic 6:8). In the immediate context of this verse, Micah compares justice and kindness with the rituals of worship. Micah asks, “With what shall I come to the Lord and bow myself before the God on high? Shall I come to Him with burnt offerings, with yearling calves? Does the Lord take delight in thousands of rams, in ten thousand rivers of oil? Shall I present my firstborn for my rebellious acts, the fruit of my body for the sin of my soul?” (Mic 6:6–7). The prophet clearly states that God desires more than just the ritual process of worship. This was true for ancient Israel, and it is true for us today. We should do more than just lead our people in worship on Sunday morning. We also need to lead them in acts of justice, to love kindness, and to walk in humility. This includes serving others, particularly the less fortunate in our communities. 2. Start with biblical examples of social ministry. If you don’t know where to begin with encouraging your people toward involvement in social ministries, start by pointing them to biblical examples of social ministry. One example comes from the early days of the church in the book of Acts. Luke records a conflict that arose among the believers in Jerusalem regarding social ministry to widows. In Acts 6:1–4 we read, “Now at this time while the disciples were increasing in number, a complaint arose on the part of the Hellenistic Jews against the native Hebrews, because their widows were being overlooked in the daily serving of food. So the twelve summoned the congregation of the disciples and said, ‘It is not desirable for us to neglect the word of God in order to serve tables. Therefore, brethren, select from among you seven men of good reputation, full of the Spirit and of wisdom, whom we may put in charge of this task. But we will devote ourselves to prayer and to the ministry of the word.’” These verses record a situation of real need—widows were in need of daily provision of food. There was also a conflict because the Hellenistic widows were being overlooked in preference for the Hebrew widows. Rather than neglecting this need, the apostles led the congregation to appoint people who could faithfully serve the widows. This freed up the apostles to continue in prayer and the ministry of the Word, but I have no doubt that they addressed this in their teaching of the young congregation at Jerusalem. Serving widows is a good place to start for a biblical example of social ministry, but we could also include orphan care (Jas 1:27; Exod 22:22), benevolence (Matt 6:1–4; Ps 82:3; Isa 58:7), medical needs (Luke 10:30–37; Jas 5:14–15), and many other forms of social ministry. Most of these needs are right in front of us; we just need to take the time to address them. In your preaching, encourage your congregation to look around them for needs that they can meet. Perhaps they can serve as a reading tutor in a local school or provide meals for the hungry. Such needs exist in almost every community. 3. Use social ministry as an open door for further ministry. Social ministry can serve as an open door for further interaction with those whose needs we are meeting. A hot meal and a cup of water can serve as the means to starting a gospel conversation. However, we must not view social ministry simply as a means to the end of evangelism. Serving those in need is a worthy ministry even if it does not result in salvation. At the same time, we must not simply meet physical needs without addressing the spiritual need. We need balance in our approach. In addition, meeting an immediate physical need may lead to further opportunities to help those in need provide for themselves. There are numerous examples of ministries that help people get back on their feet so they are no longer dependent on social ministries. Find these ministries in your local context and highlight them in your preaching as opportunities for people in your congregation to get involved. We should not be scared away by social ministry. Instead, we need a biblical perspective on how to encourage our churches to meet physical needs while also addressing the spiritual needs of people in our communities. Two of my worlds will collide later today. The days of my youth growing up at Bellevue Baptist Church will intersect with my current ministry at Southwestern Baptist Theological Seminary. When I heard that SWBTS had secured the Adrian Rogers library, I was excited. Today that library will be dedicated on our campus. There is much I could say about the influence of Adrian Rogers on my life. He was my first pastor. I learned how to follow a sermon by listening to his carefully articulated and cleverly alliterated points projected by his uniquely resonant voice. He captured my mind with his intellect and my heart with his passion. In the days following his death, I wrote my reflections on what he meant to me as a pastor. The two memories I shared then I still cherish today. As a 16-year-old, I had been called to ministry but did not know what to expect. At the advice of my parents, I scheduled a meeting with the pastor. It was a Wednesday night when Dr. Rogers was not preaching, so I skipped the youth Bible study and went to his office. I figured that I would get about 15 minutes of his time before he had to move on to “more important things.” Instead, he gave me all the time I wanted. I walked into his office, where he was sitting on the sofa with his feet propped up on the table in front of him. He asked me what was on my mind and we talked for nearly an hour. I don’t remember all his advice on that day more than 21 years ago, but I do remember one item in particular. He asked me if I had any preaching opportunities coming up. Since I was leading a Bible study at my school in a couple of weeks, I responded with an excited “yes.” He asked me what text I had chosen, and I told him Romans 1:16. I can still vividly remember his response. He leaned his head back, looked toward heaven, and gave me a perfectly alliterated four-point sermon for my text. Only then realizing what he was doing, I asked him to repeat it and grabbed my Bible and a pen and wrote the sermon outline in the margin next to Romans 1:16. I “preached” that sermon a couple of weeks later and fell into the long line of preachers who not only tried to emulate Dr. Rogers but who also tried to preach one of his sermons. My other memory came just months before he passed away. As a student at Southeastern Baptist Theological Seminary, I was given the opportunity to pick up Dr. and Mrs. Rogers at the airport in April 2005 as he was flying in to preach for a chapel service. After a few weather delays, their flight landed shortly before midnight, and my wife and I were greeted by a notably energetic Dr. and Mrs. Rogers. For what seemed like an hour but was probably only 10 or 15 minutes, he described the joys of the pastorate and the impact someone can have by spending years in one church pouring himself into the people as their pastor. I could tell that he had spent his life doing what he thought was the most important role he could ever have. During that drive to campus, he asked me about some of my professors, specifically wanting to know who I had taken for preaching. After telling him about my preaching class with Dr. Stephen Rummage, I attempted to compliment him by saying that the best preaching class I ever had was listening to him preach every week at Bellevue. The car got silent, and I halfway expected a response along the lines of “that’s too kind.” Instead, I got a glimpse of the humor many others had told me about. After a few moments of silence, he said, “You’re right. That probably was the best preaching class you could ever have.” That memory still makes me chuckle more than a decade later—but he was right. My life has been forever shaped by the ministry of Dr. Adrian Rogers. After spending a few years in seminary, I realized that I knew what expository preaching looked like long before I knew what the words meant. I witnessed what it meant to be a man of integrity in the pulpit, even in the face of trying times and difficult circumstances. And, personally, I learned the impact that a man can have on a young preacher boy just by taking a few moments out of his schedule to sit down and talk. I am so thankful that Southwestern Seminary will be the home of his library. I look forward to perusing the books and notes from which he developed the sermons I heard from my childhood until I left home for seminary. 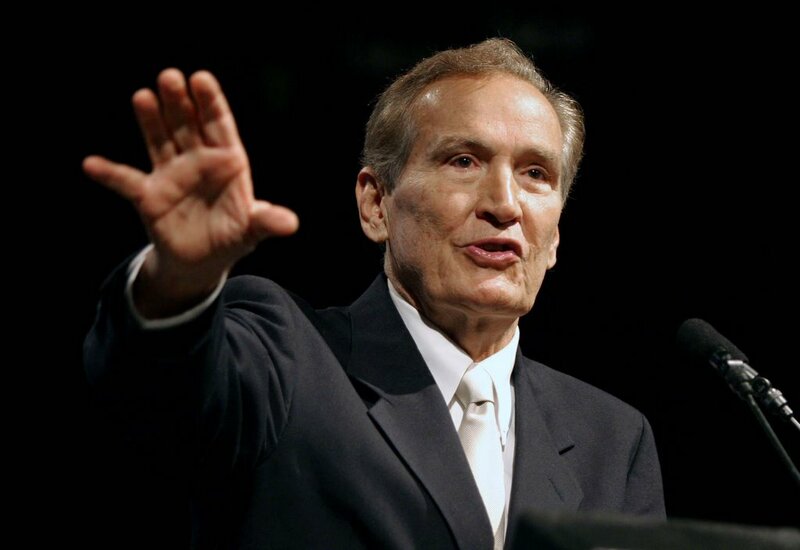 Adrian Rogers impacted my life in ways that I cannot even articulate. I am grateful that my students at Southwestern will be able to get a glimpse of this man I greatly respected and admired.